Derick Santiago wants to become an energy company lineman – like his father and brother. He also wants to help rebuild his community. Santiago, a native of Humacao, Puerto Rico, packed up and left the island last year after Hurricane Maria left millions without power. The Category 4 storm in September wiped out the power grid, leaving the island in the dark. But he was also missing something important: the training he needed. He headed for Florida, where he heard from his uncle about a school where he could receive lineman training. He moved to Winter Haven, where his mother lives, and commutes 80 miles each way to Lake-Sumter State College in Sumterville. Santiago is working toward his Associate of Applied Science degree in electrical distribution technology, commonly known as the lineworker program. 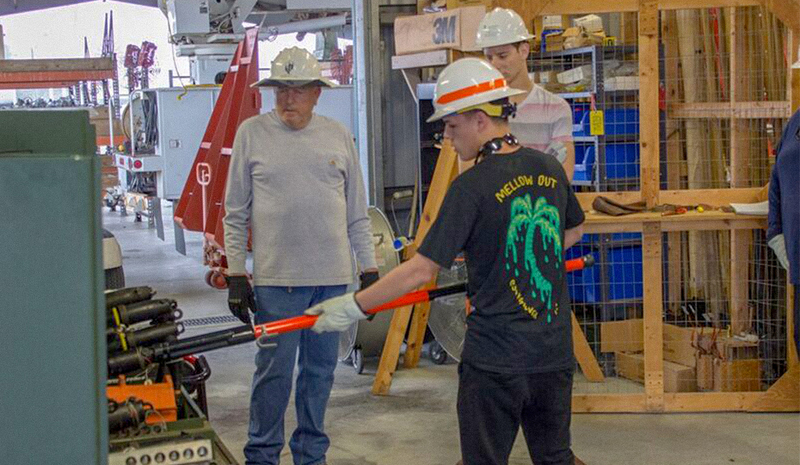 As part of the school’s Energy Utility Institute, Lake-Sumter also offers an associate of science degree in engineering technology, substation and relay technology, which trains students to build and maintain the electrical grid. The school has partnerships with several energy companies, including Duke Energy, which has donated $1.5 million over the years. Duke Energy’s support is crucial to the program, which is growing rapidly to meet a shortage of line personnel. According to the Bureau of Labor Statistics, the demand for electrical power line installers and repairers is projected to grow 14 percent in the next eight years. Lake Sumter’s job placement rate from the program is around 97 percent, according to Kevin Yurasek, the school’s director of marketing and college relations. Santiago expects to graduate in the fall, and he then plans to head back to Puerto Rico with his certificate in hand before trying to realize his dream – working for Duke Energy.